The U.S. is the only country that considers this a national day of recognition with the sole purpose of encouraging people to take time to watch meteors, otherwise known as shooting stars. However, they can be observed from anywhere on Earth as long as there’s a clear enough sky. Meteor Watch Day is also a good opportunity to connect with the cosmos and take time to think about how tiny we are compared to the giant, unknown universe that lies beyond us. Meteors are a spectacular natural phenomenon and have been associated with various legends and myths throughout history. One common piece of folklore that has maintained popularity in modern culture is the practice of wishing upon a shooting star. It is speculated that the tradition of wishing upon a shooting star began in Greece around 135 AD during the life of the astronomist Ptolemy. He claimed that in order to look down at what humans were up to, the Gods would need to open the “divider in the sky” which separated the sphere of the heavens and the sphere of the earth. When they did this, stars would fall into the world of humans, and become shooting stars. The people of Ancient Greece would then make their wishes when they saw the fleeting meteors because they were a sign that the gods were observing their thoughts and actions. 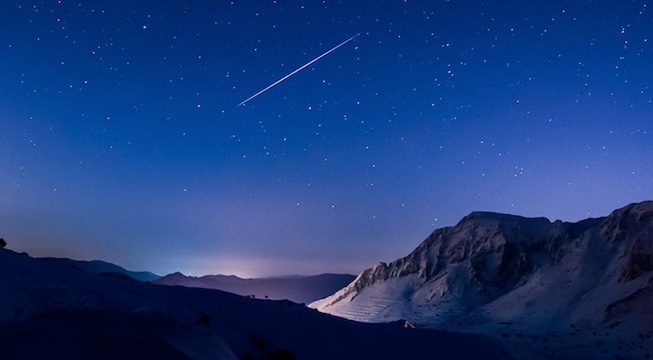 On National Meteor Watch Day, before you grab a blanket and go lie down outside to make some wishes of your own, read here about the science behind this magnificent phenomenon as well as tips on how to get the most out of your meteor watching experience. A meteor is created from a meteoroid—a small piece of rock or ice flying through space that generally ranges from the size of a speck of dust to the size of a fist. When a meteoroid traveling up to 72km/sec enters into the Earth’s atmosphere, a streak of light—several dozen miles long—is created and we see the phenomenon known as a shooting star. Why Do Meteor Showers Occur? Most meteoroids are bits of comets—balls of ice surrounded by dust and gases that orbit the sun—that have broken away from the main rock. This happens when a comet orbits too close to the sun and the sun’s energy causes small pieces to break off of it as it rotates, creating a ring of meteoroids around the sun. When the Earth’s orbit intersects with the orbit of a comet, lots of meteoroids come close to the Earth, creating the opportunity for more meteoroids than average to enter the Earth’s atmosphere. This results in more shooting stars than average during the few days it takes the Earth to pass by this ring. In addition to the Ancient Greeks, many of the indigenous tribes of North America held beliefs about the importance of meteors. These beliefs varied by tribe and caused reactions that ranged from fear to joy. The Pawnees for example told a story about a man named Pahokata who was eaten by animals but brought back to life by the Gods and sent back down to earth in the form of a shooting star. Because meteor showers therefore represented a story of reincarnation, the Pawnees considered them to be a good omen. Shooting stars boded badly for other tribes however, such as the Shawnees who believed that they were spirits fleeing danger and wrath or the Kawaiisu who claimed that they were a sign of the oncoming arrival of sickness and death. While you’ll have the most luck on a night of a meteor shower, shooting stars occur all the time and can be seen every night provided there is a clear sky and not too much light pollution. They are visible from anywhere in the world as long as it is not a location where the sun never sets. The best time to watch them is either during the few hours after the sky gets completely dark or the few hours before the sun starts to rise. Be sure to give yourself at least thirty minutes to let your eyes adjust and if you do bring a flashlight, use red light rather than white light because red light will be much less disruptive to your eyes’ adjustment. The most important thing to remember is to be patient. With enough time you will surely see one so make sure to bring a comfortable, reclining lawn chair or a blanket to lie on so that you don’t strain your neck while looking up at the sky. 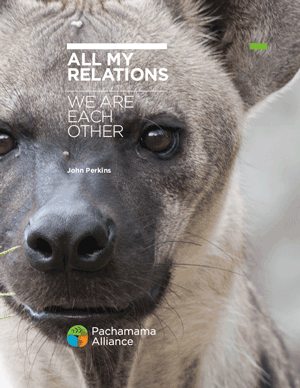 In this special e-guide John Perkins, best-selling author and co-founder of the Pachamama Alliance, discusses the core – or “divine” – self we all have within us, what keeps us from fully connecting with this core self, and what becomes possible when we shed the layers keeping us from remembering who we really are.